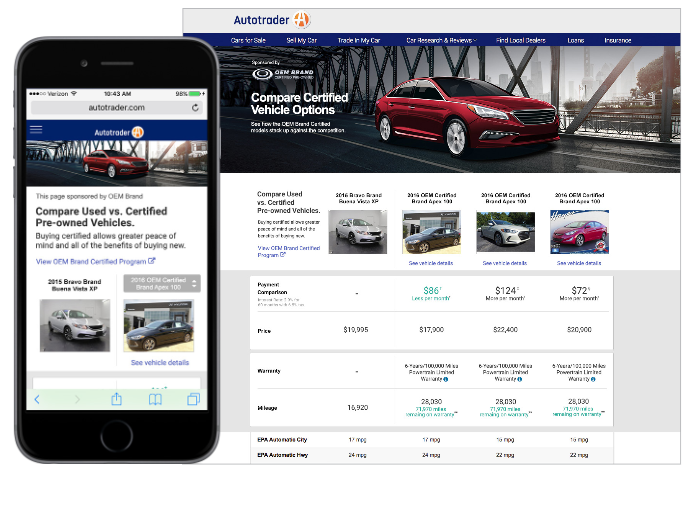 Certified Pre-Owned (CPO) Advantage contextually promotes the benefits of buying certified pre-owned and drive to certified inventory through this enhanced creative experience showcased on Autotrader’s used vehicle details page. Submit Design Case in Salesforce. This page is responsive and required all three image sizes for Desktop, Tablet and Mobile screen ratios. 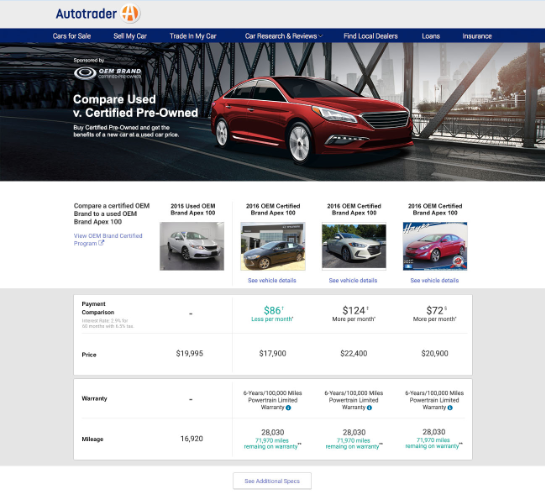 The Autotrader team can resize the 1300×330 to the smaller sizes if a PSD file is supplied. Please note that any copy included in the image may need to be adjusted for readability for the mobile size. Image Content Requirements: Use imagery and content related to the Certified program or a certified vehicle(s). This is due to the nature of this page.